Stay in charge with Enerplex’s Jumpr Slate 5K portable power bank – these thin, lightweight batteries are the perfect solution for recharging smartphones, cameras, tablets, music devices and e-readers. This versatile, lithium-polymer charging unit offers a tethered micro-USB plug and a normal USB port for recharging devices that require either. 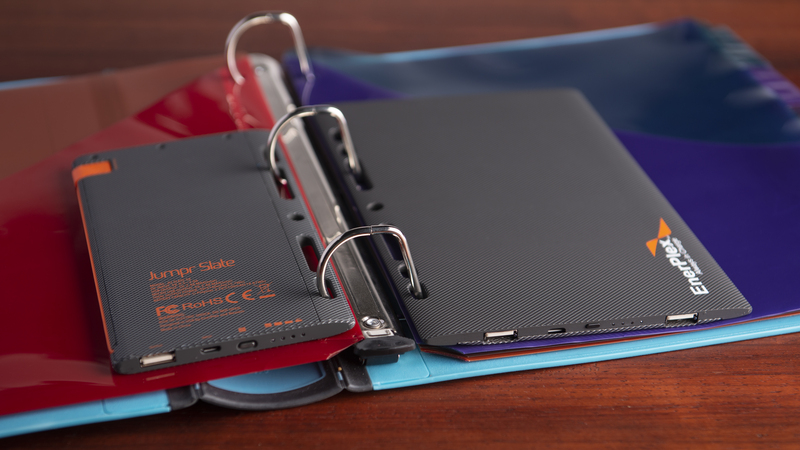 The unique binder cutouts allow placement inside a binder, folder or planner.